Caffeine to Hummingbird: An Upgrade to Google Search Algorithm! Most of the internet users have no idea about how the search engine works. The system that a search engine applies to find the relevant results among millions of websites is called Search Algorithm. Whether you will find an appropriate result from a search depends on the algorithm. With a powerful Search Algorithm, Google is the top search engine of the world. And recently a new search algorithm, called Hummingbird, has been launched by the search giant. Septermber 26, 1998. The starting of Google. And just yesterday, Google celebrated their 15th Birthday. This birthday was not a mere celebration actually. Moreover it comes with an annoucement of major change in Google Search Engine Algorithm. It's been 3 years since Google made a major change in their search algorithm named as Caffeine. And the new one, Hummingbird, has been lunched one month ago. Amit Singhal, senior vice president of search, said on Thursday- the company launched its latest "Hummingbird" algorithm about a month ago and that it currently affects 90 percent of worldwide searches via Google. Consider the relevance of the pages rather than focusing on the page rank only. Most of you know that pagerank indicates the overall quality of a site. But in Google search, pagerank is not everything. There are more than 200 search signals used by Google to sort search results. And pagerank is one of them. Hummingbird considers pagerank too. But it emphasizes on the relevance of the query. If the search query matches your contents, no matter who you are and what is your ranking, you will be the in the first page. And that's how Marks PC Solution competes with storng sites even with a page rank 0. Is there any Feature of Caffeine? Sure! Some parts of old search algorithm is still being used by Hummingbird. It just changes the unncessary parts and adds some new. But nobody can guarantee about the old parts. Because they could be changed anytime if Google finds something better. What Happened to Updates like Penguine, Panda etc? From time to time, Google updated their algorithm. Sometimes they added new tools like penguine, panda etc. Some of them are being cosidered as the parts of old engine in a new engine. I mean, these were not changed entierly. As the search algorithm changes, SEO experts and site developers may think of change in ther optimization techniques. Though Google assures that no change is necessary. It said there is nothing to worry about SEO. But I personally don't believe this. Definitely the new algorithm will affect the search appearance of a site either positively or negatively. 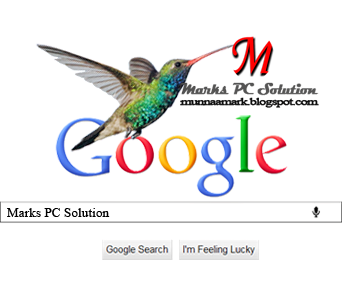 So far I know, Hummingbird doesn't hamper the search result position of Marks PC Solution. My suggestion is- Increase your Google+ Sharings. Grow your followers in Google Plus if you'd like to be favoured by Google! Basically this is a knowledge based article. It can just enrich your knowledge about display technology. And I think you will enjoy this. I'll try to provide you a brief idea about the screen technology used by the leading cell phone manufacturers. By this time you should know there are different types of display technologies such as LCD, LED, TFT, Retina etc. But how many of you know the details of each type? To be honest, I didn't have much idea about these before reading an article in a newspaper. 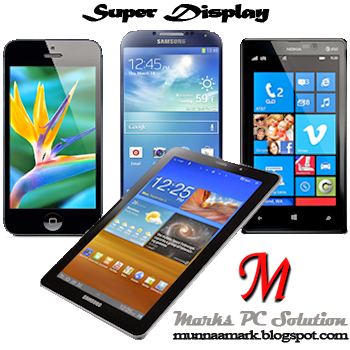 Then I decided to write about smartphone screens on Marks PC Solution. I've also gathered information on display technology from different sites. This is the most widely used display technology at present. TFT LCD technology ensures the clear view. It is better than old LCD technology to view High Quality pictures and video. This type of display is relatively cheaper. So it can be used in low-priced phones too. But this technology has some limitations too. You can't operate your phone in sunlight. Your display will be almost unseen when you're in daylight. And this type of display consumes too much battery. You should keep the display off as much time as possible. IPS LCD is better than TFT LCD Display Technology. No matter how you wanna see it. You can get a clear view from any angle. It doesn't consume much power. That's why it saves your battery power. Manufacturing cost is little bit higher and used with medium-priced cell phones. I've searched Google by RTS. Actually it has no short form. You should call it Resistive Touchscreen Display. In this technology, there are two layers in the screen. And there is a minor gap between the two layers. Whenever the first layer get your touch, the blank space between two layers blends and pressure the second layer. Immediately the processor gets signal. Thus Resistive Display Technology works. You can operate the phone using fingers or stylus. But using a stylus will be more comfortable. If you wanna operate your phone with fingers then capacitive display is more comfortable than resistive display. As made for operating with fingers, you can't use stylus or something else to work with capacitive display. This display ensures fast response time. Manufacturing cost is also high. This display is used with high-priced smartphones. Most of you maybe familiar with only LED - Light Emitting Diode. More than a year ago, I wrote a post about the difference between LCD and LED. OLED is the improved version of LED technology. OLED is a high quality display technology for cell phones and monitors. It gives you a bright look. This type of display is very light and viewing angle is excellent. It supports 16 million colors and reponse time is very short. OLED display consumes less power and thus it saves your battery. Active Matrix OLED is a display technology that is used with mobile devices and televisions. It is actually an improved version of OLED. One of the great features of this display is the viewing capacity in sunlight. Users can see the screen in daylight without any problem. AMOLED ensures vivid picture with super sensitive screen. As the manufacturing cost is relatively higher, this type of display is used with high end mobile devices. Next to the AMOLED is Super AMOLED. It is nothing but the improved version of AMOLED developed by Samsung. This technology is used with the galaxy series devices. The most modern version of smartphone screen is the Retina Display, which is a combination of IPS LCD and Backlit LED technology. As developed by Apple, this type of display is only used with iPhone. It is a so high resolution display that you can't see the pixels with blank eyes. That's why it is named as Retina Display. Retina Display is very sharp, vivid and clear. Nokia and BlackBerry are using this type of display technology. This display is capable of identifying the touch accurately. Thus it enables users to work with touchscreen comfortably. This display is reliable, comfortable and great for typing. And it's very popular among the users. Maybe you can guess something about this display. Yes you're right. This display is made for rough and tough use. Gorilla Glass is very hard and durable display. It keeps your display out of scratch. Even it can protect the screen from hammer. Many cell phone manufacturers are now using Gorilla Glass in their devices. Here I've just discussed about 10 types of displays. And these have many variations. If you'd like to know more then search Wikipedia. In my previous post, I discussed about HTML form (Part 1). Same topic will be continued today and this is the Part 2. In part 1 you've learned creating Text Fields, Password Field, Radio Buttons and Checkboxes. In this post you will learn how to create Submit Button and Drop Down Menu. Let me begin with creating a drop down menu. This is very interesting as well as easy to create! Which one is your Favorite Cell Phone Brand? Submit button is used to send data to the server. After filling up the form, an user need to confirm the email and submit it. <input type=submit> denotes a submit button. Now if someone hits the submit button, the data will be sent to the server specified in the action attribute (Here: www.munnamark.blogspot.com). Putting these elements altogether, hopefully you will be able to create a simple HTML form. Few months ago, I started writing about HTML. There are already 4 tutorials published on HTML. I know this is not sufficient for an HTML learner. Because learning HTML requires much resources and practice. However I will try to write about HTML whenever I'm able to manage time. Today's HTML tutorial is very easy, funny and useful. Today I will discuss about the basic elements of an HTML form. This is the part 1 that includes Text Fields, Password Field, Radio Buttons & Checkboxes. You can practice using notepad. Press Start + R > Type Notepad > Enter. Now copy or type the code from here. And save them as form.htm or use any other name. But the name should end with either .htm or .html. Then open the file in a browser. Though you skip the <form> tag, modern browsers can identify your form. But this is a basic rule for creating html forms. So you should start with <form> and end with </form>. <input type="text"> indicates a one-line input field to enter text. <input type="password"> defines a password field. Whenever someone types in a password field, the characters are shown as circles. <input type="radio"> refers to a radio button. Radio button allows user to choose a single item. After selecting an item, you can change it. But once selected, you can't undone it. <input type="checkbox"> defines a checkbox. Somewhat similar to radio buttons. But here an user can choose multiple items. And he can deselect the item any time! What is your Favorite Browser? These are some important elements of an HTML form. There are few other elements remaining. I will try to write about those elements in the next post. And then I'll put these all together and show you how to prepare an HTML form. Till then, stay with us . . .
Only a few years ago, NOKIA was the number one cell phone manufacturer. But current situation is really frustrating. Due to the growing competition in the market, lack of innovation, changing nature of the people, Nokia's Market Share is now at the bottom. In this situation, Microsoft has agreed to purchase the business of Nokia. The boards of directors of Nokia and Microsoft have decided to enter into a transaction. 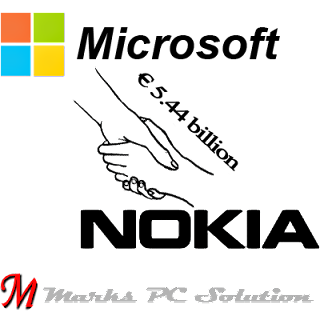 Microsoft will purchase all of Nokia's Devices & Services business, patents, license and mapping services. Nokia will get € 3.79 billion (Equivalent to $ 4.98 billion) for its Devices & Services business. And € 1.65 billion (Equivalent to $ 2.17 billion) will be paid by Microsoft to license Nokia's patents. That means, Microsoft is to pay € 5.44 billion ($ 7.14 billion) in cash to buy Nokia. Microsoft will draw upon its overseas cash resources to fund the transaction. The transaction will be made in the first quarter of 2014 and subject to shareholders' and regulators' approval. Stephen Elop, the CEO of Nokia, is expected to join Microsoft with Jo Harlow, Juha Putkiranta, Timo Toikkanen and Chris Weber at the closing of the transaction. At closing, 32,000 people are expected to be transferred to Microsoft, including 4,700 in Finland and 18,300 employees directly involved in manufacturing, assembly and packaging worldwide. This transaction will generate a win-win situation for employees, shareholders and consumers of both companies. Nokia has a very little chance to recover its reputation and position in the market. It's almost out of competition. Innovative devices from Samsung and Apple will hardly allow Nokia's products to compete in the market. But Lumia, operated by Windows 8 OS, has a chance to compete with Apple and Samsung Devices. When Microsoft will acquire all of Nokia's Smart Phones including Lumia, definitely the devices will be much improved. Thus it could be a good come back for Nokia. Two decades ago, Apple was beaten by Microsoft in Personal Computer Business. Due to the huge popularity of Windows, Apple Computers were not preferred by the users. But the scenario has changed with the passage of time. Now people like mobile devices like cell phones and tablets. Most of the PC users are no longer interested to purchase desktop PCs. They are switching to Samsung's Galaxy Tabs and Apple's i Pads Consequently the sale of Windows OS falls dramatically. Microsoft's new OS, Windows 8, was not sold as expected. To retain market share, Microsoft should focus on mobile devices. 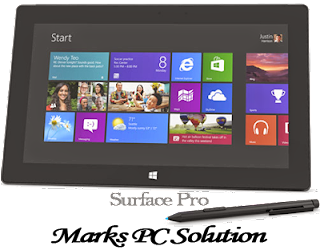 Following this theory, Microsoft has introduced its first tablet device - Surface. Earlier, Microsoft also produces Windows phones but they were not successful. When Microsoft failed with Mobile Devices again and again, it decides to purchase Nokia. This is a good news for the fans of both companies. Because Nokia lovers will get more innovative products. And Microsoft users will get better mobile devices. And I personally believe, Microsoft and Nokia together, will produce good devices and provide better services to the valued customers. 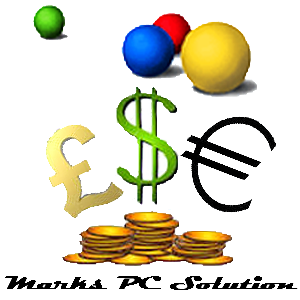 This transaction is considered as a business strategy for both companies. Both companies have a chance to come back in the market. As the PC market is down, Microsoft must grab the tablet market. And due to the huge competition and changing tastes of the people, Nokia must go for the innovation. So, there is no alternative to change. This acquisition is the demand of time. What next? Wait and see - what the two do next . . .